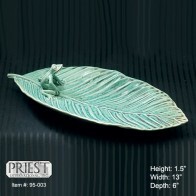 Each item is unique and hand made. 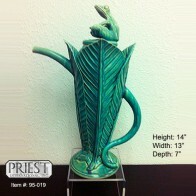 Color and style may be different than the one you see on our website. 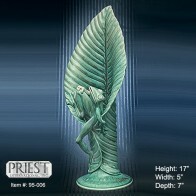 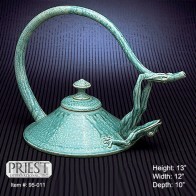 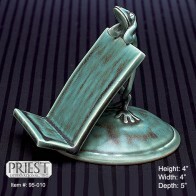 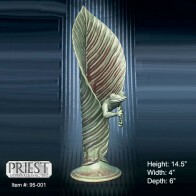 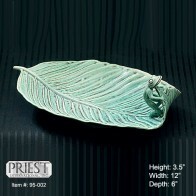 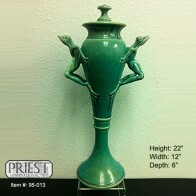 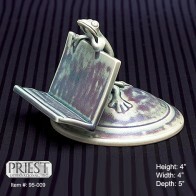 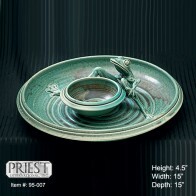 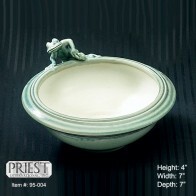 To see a photo of a specific item available, please contact us at sales@priestinc.com and we will be happy to send you a photo. 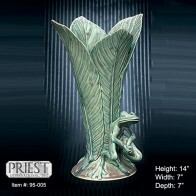 14" High Four Leaf Frog Vase *(Height 14" / Width 7" / Depth 7") ..
17 1/2" H One Leaf Frog Vase *(Height 17" / Width 5" / Depth 7") ..
2 Piece Frog Chip & Dip Tray *(Height 4.5" / Width 15" / Depth 15") ..
Frog Receipt Holder *(Height 4" / Width 4" / Depth 5") ..
Frog Tea Pots *(Height 13" / Width 12" / Depth 10") ..
Large Urn *(Height 22" / Width 12" / Depth 6") ..